JoAnn Young, age 78, of Verne Road, Williamsburg, Kentucky departed this life on Friday, January 18, 2019 at Baptist Health in Corbin. She was born on August 25, 1940 in Williamsburg, Kentucky to the late Bloom and Della (Hall) Siler. She was also preceded in death by her husband, H.C. Young; a daughter, Donna Hardy and two sisters, Joyce Hall and Jean Pearson. 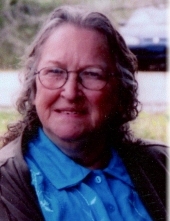 JoAnn was a member of Patterson Creek Baptist Church. She is survived by her children, Chris Storer (Shirley) of Williamsburg, Kentucky, Teresa Roth (Jeff) of Colorado Springs, Colorado and Jenne Young (Casey Lambdin) of Williamsburg, Kentucky; 11 grandchildren, Jennifer Benjamin, Tim Hardy, Mandy Storer, Jimmy Storer, Tiffany Bryson, Jeffrey Roth, Kristen Roth, Michael Roth, Shane Downs, Amy Young and Rilee Lambdin; 11 great grandchildren; sister, Virgie Howard of Williamsburg, Kentucky; three brothers, William Rider Jr. of Arkansas, Jimmy Rider of Williamsburg and David Rider (Debbie) of Tennessee; several nieces and nephews; and a host of other family and friends to mourn her passing. Visitation will be after 6:00 P.M. on Thursday, January 24, 2019 at Croley Funeral Home. The Funeral Service will be at 1:00 P.M. Friday, January 25, 2019 at the Croley Funeral Home Chapel with Rev. Anthony Reeves officiating. Following the service she will be laid to rest in the Henry Young Cemetery on Verne Road, Williamsburg. To send flowers or a remembrance gift to the family of JoAnn Young, please visit our Tribute Store. "Email Address" would like to share the life celebration of JoAnn Young. Click on the "link" to go to share a favorite memory or leave a condolence message for the family.